Thoughtful analysis from Evan Hill about the current situation in Port Said. Kicking off with some vivid frontline reporting from this week’s gun battles in the city, Hill illustrates why the city which rejected Morsi during the 2012 presidential elections is becoming a law unto itself. For those with enough time on their hands, here is an in depth look at Egypt’s fundamentalist Salafi movements. Written by Stephane Lacroix, an expert on the subject, it examines the electoral success of hardline Islamists and offers some context about the history of Al Nour, the main Salafi party in Egypt. Given the religious divisions creating fissures at the ballot box, it makes for a fascinating read. Sober analysis of the past week’s events in Egypt from The Economist. It makes the point that the country’s draft constitution – which will now go to a referendum in mid-December – lacks legitimacy as a result of being rushed through the constituent assembly this week. There is also criticism of the manner in which Morsi has emasculated the judiciary through the recent presidential decree. While sparing no rebuke for the nation’s judges – who the magazine says have “petulantly” obstructed the president over the past six months – the piece argues that by “declaring himself above any law, [Morsi] raised the spectre of a return to dictatorship”. 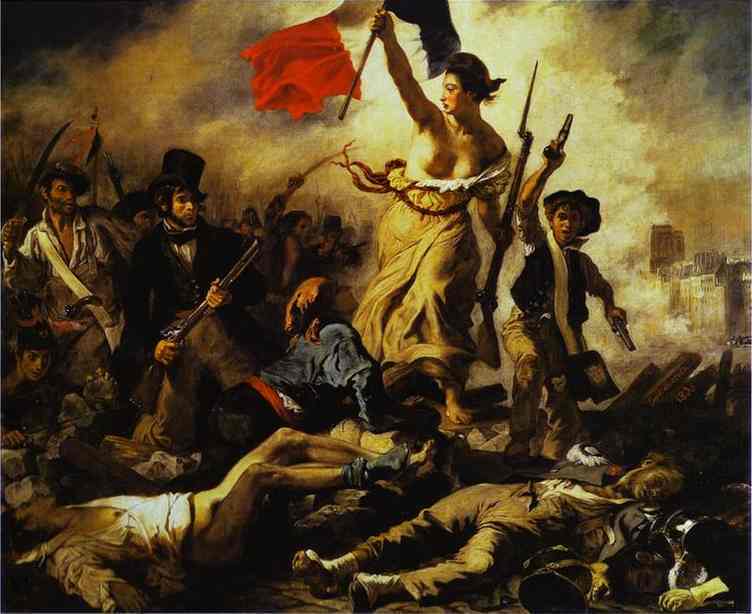 An authoritative precis of the current crisis. Here is a neat dissection of the current political mess in Egypt, by blogger Nervana Mahmoud. Published at Al-monitor.com, Mahmoud argues that the crisis was “an inevitable outcome in a country that is still seduced by selfish politics that aim for dominance rather than unity”. She pushes the point that the Muslim Brotherhood’s modus operandi is partly a result of decades of oppression under successive regimes. 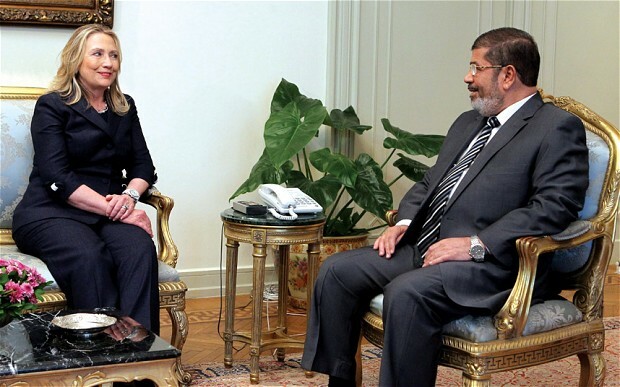 Mohamed Morsi, she adds, sees Egypt as a “malfunctioning machine that must be restored back to its factory settings with Islamic instruction”. Offering a four point analysis of the Brotherhood’s political failings, Mahmoud contends that “pragmatism” and “ambiguity” are used as tools to advance the group’s Islamic agenda. Many might argue that the Brotherhood is not alone in this. Surely the Tories or Labour in the UK – or their American, European or any other counterparts – are just as capable of exploiting political elusiveness in their search for power? Is it fair to lambast the Brothers on this score? A nice offering on the debate about what is making the Muslim Brothers tick. 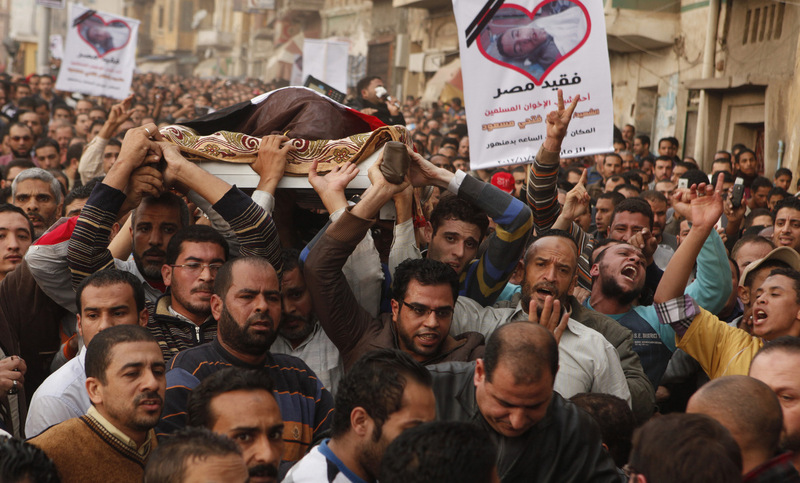 Is the US repeating its mistakes in Egypt? More thoughts on Morsi’s power grab last week, this time from The Big Pharaoh blog. The post ruminates over America’s influence on Morsi, and asks whether the president felt he could get away with his decree because of the lavish praise heaped on him by Washington following the Gaza ceasefire. A worrying clip from Damanhur, a town in northern Egypt close to Alexandria. It shows fighting on Saturday between members of the Muslim Brotherhood and anti-Morsi protesters which followed the Egyptian president’s constitutional decree last week. One boy was killed and many more injured during the violence. 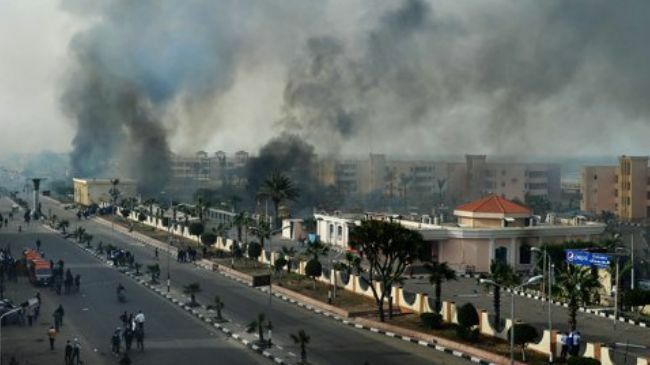 A second man was confirmed dead yesterday following the rioting which hit Cairo last week and spread throughout the country after Morsi’s announcement. Egyptians are hoping Damanhur is not a sign of more cataclysmic divisions ahead. The outsider’s perspective on the crisis enveloping Egypt – from my occasional drinking buddy Koert Debeuf. He raises the twin spectres of Lenin and and the Jacobins in reference to the problems faced by Mohamed Morsi. I’m pretty sure we’re not there quite yet, but DeBeuf nevertheless has some interesting points to make about life inside the political goldfish bowl.